Based on what was learned from the Shrimp bomb (the first dry fuel thermonuclear bomb), the Mark-36 was developed. The US made almost 1000 Mark-36 two stage nuclear warheads. Many of them went on to be repurposed into Mark-21 bombs, which had a small 4 megaton payload in comparison. The rest were converted to Mark-41 bombs, with a much higher yield. Part of “Operation Greenhouse”, Ivy Mike was a stationary weapon detonated from scaffolding. It was used to research nuclear bombs, and was a proof of concept. This concept was very important in creating larger payload bombs- fusion. Later, a simplified and lighter deliverable version was developed. In May of 1954, the Yankee prototype of the Mark-24 bombs was detonated as part of the Castle tests. 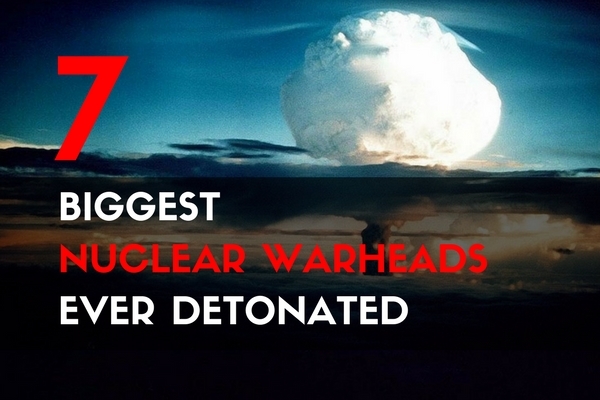 Deemed a success, they went on to make over 100 more of the Mark-24 thermonuclear warhead. Carried by B-36 bombers, this bomb weighed the most of any in the US arsenal. America produced about 200 of these big boys and they didn’t last very long. Lighter and more effective bombs only kept them active for about 3 years. “Shrimp” was a part of the infamous Castle Bravo tests at Bikini Atoll. From its detonation spot in the Marshall Islands, radioactive material was detected in parts of Australia, Asia, Europe, and even the US. This is partly because it was detonated only 7 feet above ground. America made the second largest bomb- and not just one. We made over 500. There were two distinct types of the Mark-41, where one model was “dirty” with a uranium casing. 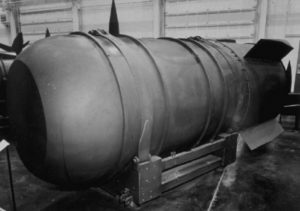 The first prototype of this bomb was dropped in 1958 in a test code-named “Operation Hardtack.” The high yield was achieved using a three stage system. 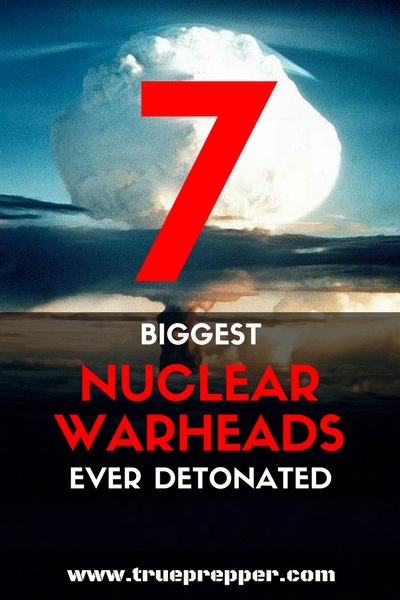 With a much bigger payload than any other warhead on this list, the RDS-220 hydrogen bomb has earned it’s spot. The Soviet Union dropped this from a bomber in October of 1961 over the Arctic Sea. 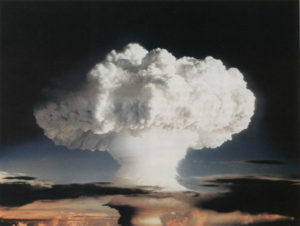 The bomb was specially made with three stages instead of the typical two, and the payload was reduced from 100 MT to 50 MT to limit radiation exposure. The nuclear race was in full swing while the Soviet Union was developing Tsar Bomba. 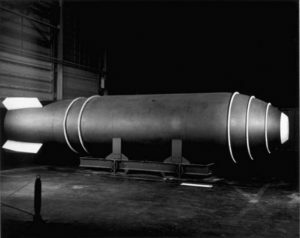 The US completed testing on the Mk-41 three stage bomb a full three years before Soviet Union unleashed their 50 megaton creation. America beat the Russians to the moon- so why did they not beat them to the largest nuclear warhead? The answer is simple- tactics. 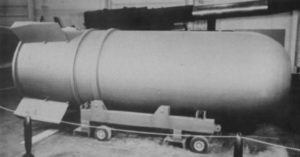 The US figured out that the delivery method of the warhead can be just as important as the payload. Guided bombs and ICBMs (intercontinental ballistic missiles) entered the picture, making the large ‘dumb’ bombs messy, imprecise, and difficult to deploy. Only one year after the Tsar Bomba, America had the Minuteman ICBM program in place, and effectively prevented any attack with this constant threat of counterattack. 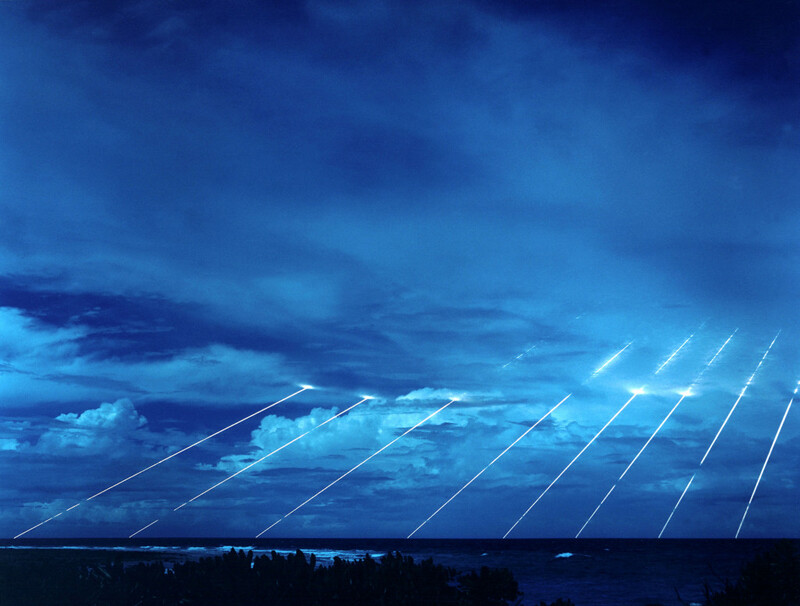 The US continued development into the Peacekeeper program completed in the 80s and had the ability to effectively nuke a ‘smiley face’ pattern into a target with multiple warheads on a single computer controlled missile. The latest (much improved) version of the original ICBM, the LGM-30 Minuteman III is still in service today as the only land based ICBM in the United States. Time lapse photography of the Peacekeeper re-entry vehicles. So why does the rise and fall of high payload nuclear bombs matter to preppers? It defines the nuclear threat that everyone should be prepared for. An earth-cracking 1000 megaton thermonuclear warhead is not practical or probable, but coordinated ICBM strikes are probable when talking of nuclear war. Keep exploring, stay prepared, and be safe.